Elections: Everything You Need Students can use these resources to study elections and participate in one of their own. 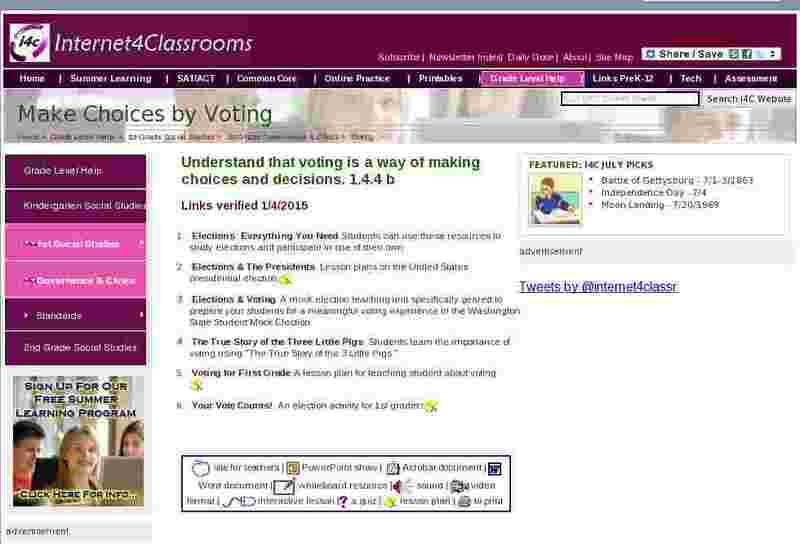 Elections & The Presidents Lesson plans on the United States presidential election. Elections & Voting A mock election teaching unit specifically geared to prepare your students for a meaningful voting experience in the Washington State Student Mock Election. The True Story of the Three Little Pigs Students learn the importance of voting using "The True Story of the 3 Little Pigs." Voting for First Grade A lesson plan for teaching student about voting. Your Vote Counts! An election activity for 1st graders.